(including Display & Video 360 and Search Ads 360), Google Ads, YouTube, and more. Existing partner programs like App Attribution and Marketing Mix Modeling are now included in Google Measurement Partners. Our launch partners are recognized leaders within their focus areas and provide solutions widely used by the industry. They meet rigorous standards for accuracy and use reliable methodologies to measure KPIs that matter for marketers. And we work closely with them to ensure the solutions respect user privacy. With trust and transparency at its foundation, Measurement Partners continues our commitment to providing both quality and choice when it comes to measuring performance and helping marketers better understand their customers. Alongside our partners, we’ll keep working to establish commonly accepted standards and advanced measurement solutions that help raise the bar for the industry. We believe that measurement you can trust is critical for brands trying to understand the impact of their marketing. But as the customer journey has become more complex, measurement has become increasingly challenging. And while Google strives to build great solutions, some marketers prefer to rely on third-party measurement solutions. That’s why we’re announcing Google Measurement Partners, a program that brings together new and existing partnerships to offer brands a variety of options to measure their advertising media. 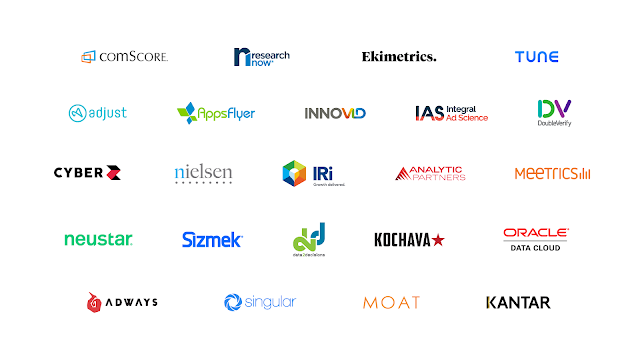 The program is launching with 20+ verified partners across seven specializations: viewability, reach, brand safety, brand lift, sales lift, app attribution, and marketing mix modeling. Partners offer various solutions that work across Google advertising products, including Google Marketing Platform (including Display & Video 360 and Search Ads 360), Google Ads, YouTube, and more. Existing partner programs like App Attribution and Marketing Mix Modeling are now included in Google Measurement Partners.